Yesterday I shared some of my thoughts concerning the upcoming birth of my daughter. Just even tho king that gives me a little rush. I have a feeling that this next month is going to both fly and drag at the same time. But at least I have a project to help me fill that time, not that baby prep isn’t a fairly full adventure. At the beginning of the year I finished up the first draft of my next novel. Currently it is living with its first-past editor. He is most likely taking the red pen of improvement to it so that I can (hopefully) make it a better experience for all. This new work will be somewhat of a departure for me. It will still be a fantasy adventure, but where my first two novels are part of the Deadly Troubadours series, this will be the start of a new series. This will be a bit of a risk because Deadly Troubadours is yet unfinished. A behind the curtain reason is that there has been some slow down production points that I’m not in control of. Rather than waiting for that to resolve itself, I’m writing something else. We’ll see if that works. 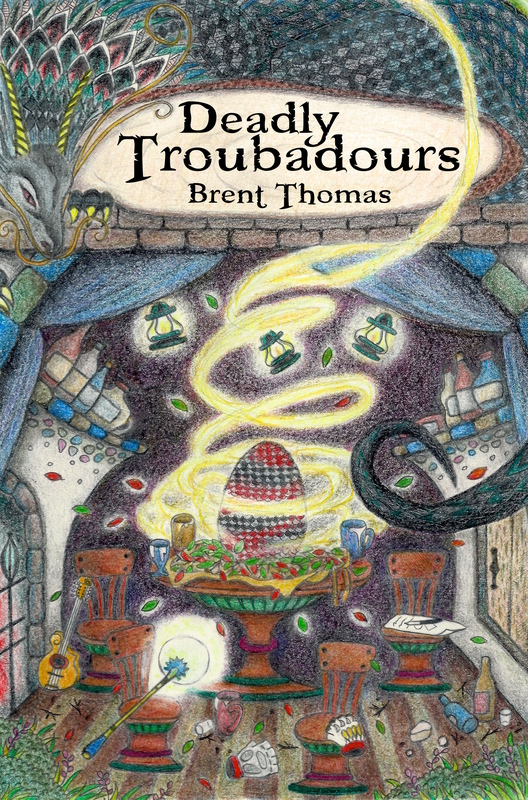 The other reason for writing something else is that as much as I enjoy Deadly Troubadours and it’s sequel, I have to admit it is more geared for adults. There are scenes that would keep me from recommending it to younger readers. This new work, whose name I will shortly reveal, was written with that in mind. I am doing my best to deliver the mixture of humor and darkness that earned me so many positive comments, while also ensuring that this novel can be enjoyed by a wider age range. This will be a fantasy adventure and it will offer scenes of joy and scenes of darkness. It will focus on issues of friendship and family, while also offering music and magic. And it will also offer a backdrop of warring cultures where motivations are not always what they seem. My life is about to start on a new adventure, so I don’t want to promise a date and miss it, but I will say that I hope to have this book out before the end of spring. Stay tuned in for more updates about the future of A Song in Darkness.